When I think about all the lovely gifts Eliot has received since he was born, they have mainly been toys, clothes and books. 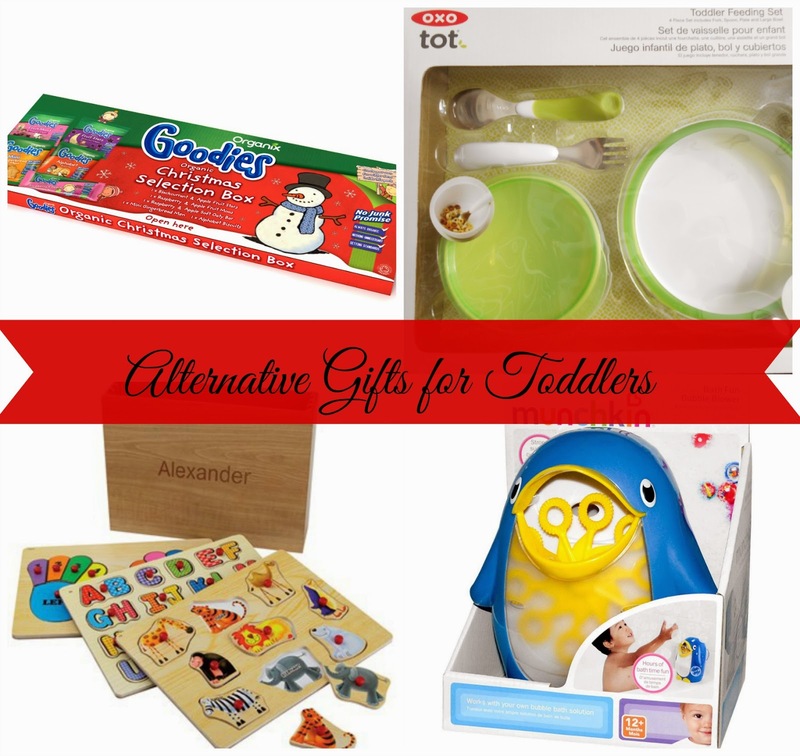 So, I thought I'd do a bit of an alternative gift guide for toddlers this festive season! First up is the Organix Goodies Christmas selection box, suitable for toddlers over 12 months. Eliot and I are both fans of the Organix Goodies range and this is a perfect gift/stocking filler if you want to go for a healthier option of sweet treats. With Organix's 'No Junk promise', you can be confident you are gifting something that is far more healthier than the usual chocolate pressies on offer. All Organix products are organic, have no added salt, processed sugars, colours or flavours. Not only is this selection box full of snacks free from 'nasties', you can also turn the box into a Goodies Winter farm scene! The Organix Goodies selection box is priced at £2.99 and available from Asda, Boots and Ocado. Next up is the Toddler feeding set from OXO Tot. 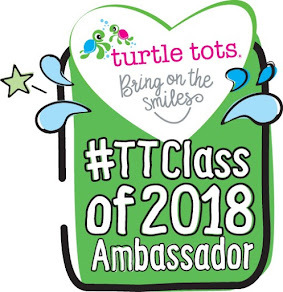 I just think this is a great alternative gift for tots who are usually overloaded with toys. I believe a high quality feeding set is required for little ones learning to self feed and the OXO Tot set speaks volumes. I've reviewed this set, you can read more about it here. 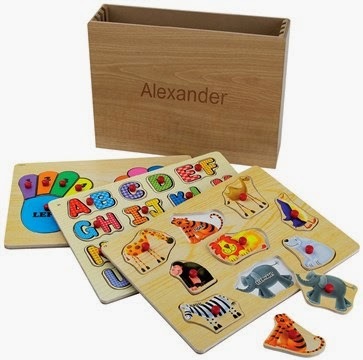 Personally I don't think you can go wrong with a personalised wooden gift and I adore this personalised box set of puzzles from Ace catalogue. I recently came across Ace Catalogue and discovered their range of personalised gifts. I think puzzles are great as they can be educational as well as helping develop fine motor skills. The bright colours are appealing but my personal fave is the hand puzzle. When teaching I've come across many children who are still confused about their right and left, I think it's ideal for helping establish that knowledge from an early age. 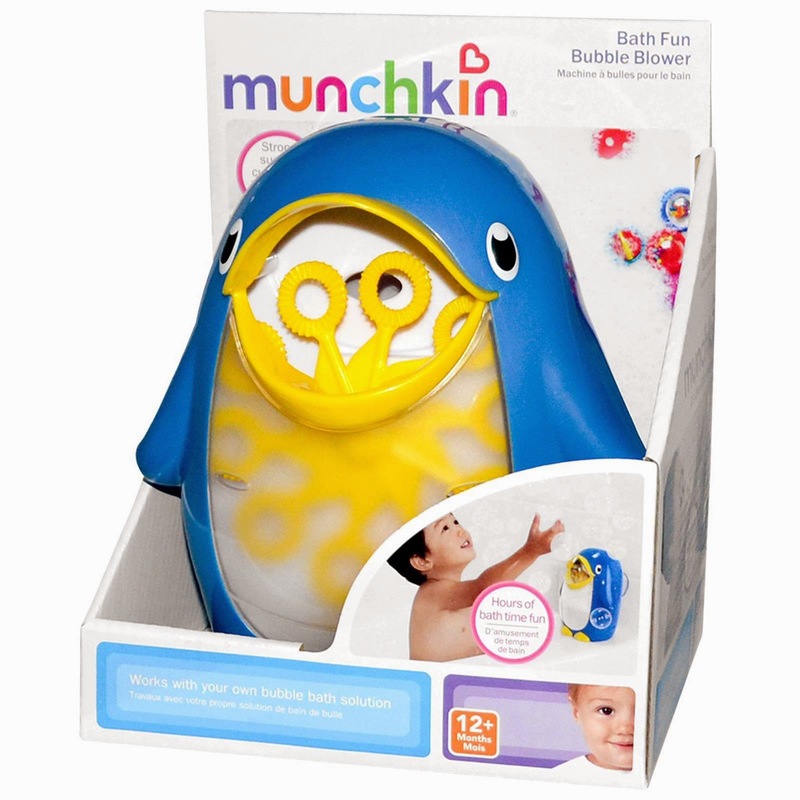 Last but by all means not least is the Munchkin Bubble Blower. The reason I've added this to my gift guide is simple. Eliot loves bubbles, Eliot loves bath time. It's a win win product for us! This is definitely on my list to buy once we're all moved and settled. It looks like great fun and of course fantastic for a bit of sensory play. What toddler gifts are on your list?